Reject Non local senders, Tarpitting. IMAP stores all email and folders on the server, which is perfect for accessing messages from multiple locations - desktop, tablet and phone. Premium anti-spam at no extra charge. Mailtraq provides the very best power features to counter spam, that can be used individually or in combination. 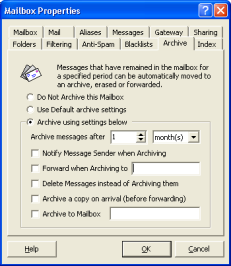 Enhanced Web Access WebMail interface has been designed as a full feature UTF-8 email client - suitable as a replacement for ordinary desktop email clients such as Outlook, Lotus Notes & Domino. Stay connected to your real email account from your web enabled mobile device or PDA. Manage schedules and appointments online through Mailtraq's webmail system. Private, multiple and shared calendars. Free/busy sharing in Outlook and Outlook synchronization. Mailtraq integrates with the open source ClamAV antivirus system as well as the leading antivirus software for mail servers. The ClamAV integration gives FREE anti-virus coverage. Services, Secure mail server TLS/SSL Support, Certificate Manager. Meet email compliance regulations, whether for regulatory requirements such as e-Discovery, Sarbanes-Oxley, HIPPA or SEC, for risk management, or to cope with the ever rising threats of law suits. Configure how mail is handled as it arrives in Mailtraq - and what happens next. 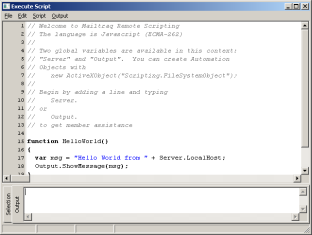 The Console provides the primary user interface for all the features in Mailtraq.